Toyota Financial Services India Ltd. (TFSIN) is the Indian subsidiary of Toyota Financial Services Corporation (TFSC) which is a wholly-owned subsidiary of Toyota Motor Corporation(TMC) Japan. 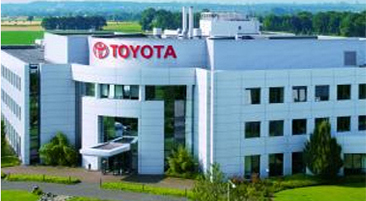 Toyota group has recognised the potential of the Indian automobile market and has identified it as a key market for global growth.Toyota Financial Services in India throught its global expertise will offer unique products, pricing and service exclusively to toyota customers. Toyota Financial Services strives to provide you an easy and comfortable experience during your Toyota purchase. Furthermore, we have several value added services which will cater to your requirements throughout the vehicles life. Thanks to our partnership with Toyota dealer network we have a dedicated Finance Executive awaiting your call, you are much closer to availing Happier finance. Visit www.toyotafinance.co.in to know more about our exceptional level of service and a range of products to suit your individual vehicle financing needs. Toyota Financial Services believes a car adds happiness to people's lives and as a company it desires to ensure Toyota customers in India are provided with a happy car life througout their journey. TFSIN through its pillars of Transparency, Fairness and Simplicity will strive to provide its customers with the best customised financial services support in the industry. Toyota Financial Services India's objective is to pleasantly exceed its customers expectations and become their first preferred car finance partner.